My colleague Jessyca and I (yes, two Jessica’s, just with different spelling) had the pleasure of experiencing some real southern hospitality while attending the Public Media Conference put on in Atlanta July 2013. Talk about a change of pace from California. 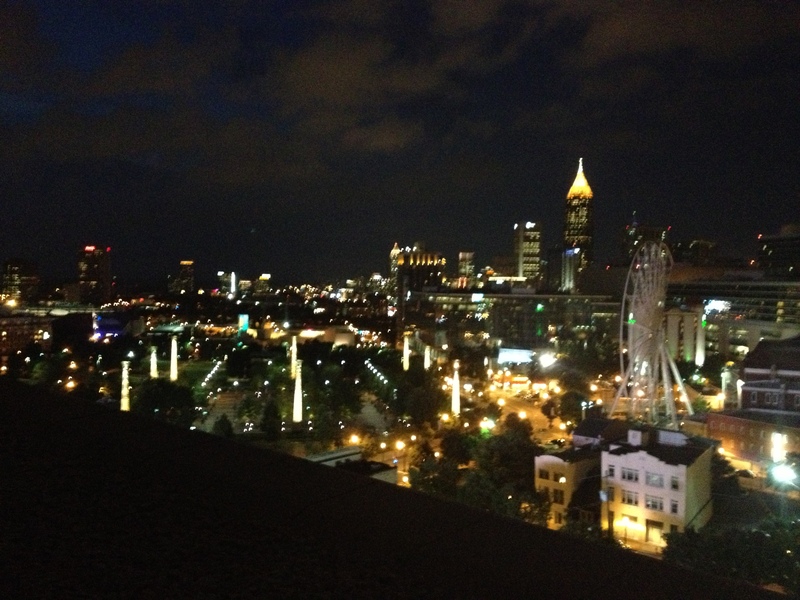 Don’t get me wrong; I love a lot of things about California but Atlanta was a fantastic city to visit. The people there were so incredibly friendly and everything felt like it was taken down a few notches. We didn’t notice everyone rushing to get to places or connected to an electronic device as much. I did not have much personal experience with public radio or television outside of a significant amount of Sesame Street on our local PBS station. Jessyca listens to a local NPR station (KHSU) on a regular basis. We were both blown away with how connected these public radio stations are to their listeners. In thinking about it, it makes sense because many are directly dependent on their listeners to stay on air. 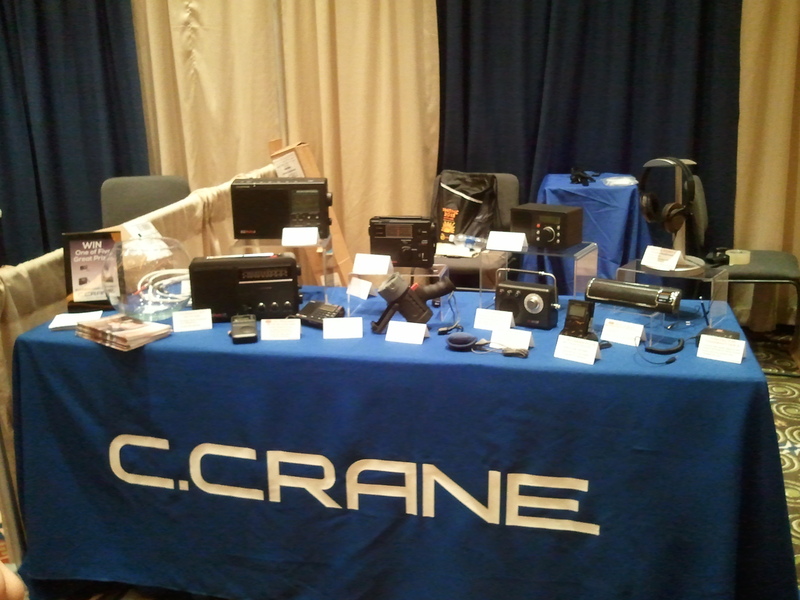 We attended as an exhibitor to offer our C. Crane products to stations as premiums for their pledge drives. The number one question we experienced was “Do you have an HD radio?” Many stations have invested a significant amount of money in HD only to have the problem of their listeners not being able to receive the HD signal because they can’t find a device to receive it on. When we answered “No.”, the second question was usually, “Why not?” The short answer is, most of our customers want good AM and FM reception and the HD radios we previously carried or tested do not play nicely with AM (if they even have it at all). The other problem was the return rate. The return rate for us was double to triple our average product return rate. Often the radio was returned because it was thought to be defective when in reality the HD signal radius is just a much smaller footprint. Our experience was that unless you were in about a 10 – 15 mile radius you were unlikely to receive the signal. One station manager who recently invested in HD, summed it up for us as HD being like BETA when there was BETA and VHS. Whether this is true or not, remains to be seen but my boss, Mr. Crane, has been talking about the potential issues with HD for quite some time. We actually wrote a couple of articles about it back in its inception. We’ll write more in a future post about HD Radio. Outside of HD, there was a lot of interest in the CC Solar Observer and our CC WiFi Internet radio. With the era of corporate radio consolidation, many of these public radio stations are the only stations that actually have backup power and local staff to stay on air during an emergency. Several of them are located in areas that experience tornadoes or hurricanes every year so offering an emergency radio to their listeners makes a lot of sense. The CC WiFi is an interesting solution to the HD issue since many of the stations also stream the HD content, this radio is a viable solution for listeners to receive the signal. It was a lot of fun to get to demonstrate our products and interact with people who love radio as much as we do. If you have a favorite Public Radio or Television show or if you just love Atlanta, please leave a comment and let us know,! Is there a chance that C Crane might design and manufacture an HD Radio in the future? I suppose anything is possible 🙂 but I haven’t seen any plans or heard about any samples. I use HD radio all the time in Seattle… in my car and with the Sangean HDT-1X. I own a Microsoft Zune (why they dropped that I’ll never know) and even that tiny thing has HD. Makes me think it would not be that hard to add to a portable… The Zune has FM only, however. Anyway, I would pick up a good portable with HD because my favorite station in the area is HD only.